In the world of internet you can find any picture you ant but getting in trouble is easier than you can think because most of the pictures out there are subjects of copyright and you can not use them without paying for their royalty. So in these type of cases you need a source to make sure that picture you want is free to use and tools such as freerange are there to help you get photos you need. today we ant to take a look at this amazing startup tool and see what they have to offer to people and why they worth using. Well it is not that hard to explain what freerange is. if you refer to their website then you can see that they have put this line: “Photos and illustrations licensed for commercial use. No attribution required!” this is the heart and soul of what they do at freerange . 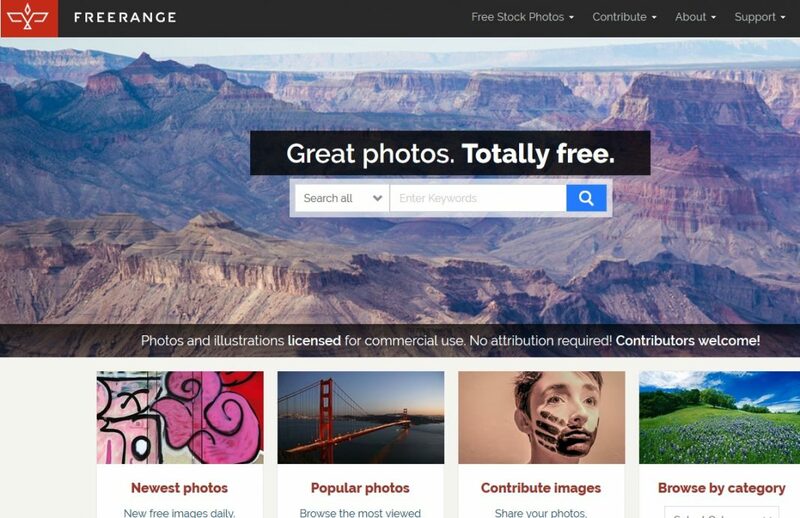 this tool is all about sharing amazing photos and illustrations with others. You can even contribute to freerange in two ways: you can financially support them or if you are not in the mood or condition to pay then you can give them a photo or illustration of your own to give people for free. But if you want to do none of these two then you are fine again and you can get what you need without the need to pay for anything. You can search for photos based on multiple criteria such as subject, type and etc. this gives you freedom to find the closest thing to what you need and then download the file on your system. after that, you can use t anywhere without any problem and no one will try to sue you over possible copyright of that specific photo and you can reuse it as much as you can. But remember that you can not prevent others from using it as well because it belongs too all people who got it from freerange and you can’t claim rights to that photo. How can we use freerange services? It is simple, just create an account and you are god to go. from next time you can login and enjoy the great world of photos they are providing and get access to all those images and illustrations we have mentioned before. This registration is completely free and you don’t have to pay anything and a simple subscription is enough for you to make use of this tool. We suggest you to go there and see all these by yourself. If you want to access to their website then simply click here or google them if you want. So as always, we in startupik will be happy to get feedback from you and if you have anything else to say about this article or you have any other suggestion or special article that you might need then share it with us and we will be happy to get back to you.